I have always loved bananas but have NEVER liked frozen bananas - even on a stick with a chocolate topping I did not like them. Now I have to change my tune. Here is a recipe I just tried after seeing it on one of the morning shows last week. I am probably the last person in the world who heard of this wonderful, simple, healthy treat. If I am - shame on me. If you do not try this for yourself - shame on you. Put the frozen banana chunks into the food processor. pulse until the pieces are smaller then process until smooth. Slowly drizzle in 4 oz of cold skim milk. Check processor to break up any large chunks that remain. Consistency should be like ice cream or gelato. Divide into two bowls. Sprinkle 1/2 oz walnuts on top of each serving. Enjoy immediately. 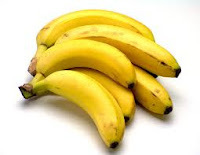 If your bananas are not ripe enough you can add 1 or two packets of sweetener but try it without first. It is delightfully refreshing and much better than any fat free/sugar free processed frozen dessert I have ever bought. Next time I will try freezing it like a popsicle. In keeping the pounds off I strive to keep my mind open enough to try something new without trying something dangerous. This was an excellent choice. Is there any natural food you are enjoying today in a different form - while maintaining the healthy aspect of the food? (in other words, without frying it, sugaring it, or dousing it in cheese). I wonder if it would be good with a couple of tablespoons of PB2 blended in?? I want this right now. But I don't have a food processor. I want this right now. I do the same thing with frozen berries ( I can't stand bananas in any form! )Yogurt can also be substituted for the milk. I am pretty sure you could also add protein powder and it could be breakfast dessert if that floats your boat and doesn't undo your intentions for the day. The PB2 should be excellent in it in the fall. But for summer, the clean taste of the fruit seems more appropriate. I am not having PB of any sort this month. Testing out a tummy acid issue. I can't eat a lot of PB or nuts in general, because they SLOW down my bodily functions. Sorry, probably TMI!! I hope that you get your tummy acid issues figured out soon. Those are NOT fun!! I agree about the "clean" taste of the fruit!! I tried adding bananas as a snack between exercise classes earlier this spring. I was using the bananas to replace other fruit, so it was a fruit to fruit exchange. I switched to bananas because I was having consistent calves charlie horses. My instructor thought the bananas (potassium) might help. Kay Shepphard has bananas on her NO list. I had always thought this was because of GI issues (to avoid constipation). Not saying they are evil. Not saying they will not work for you. Just saying, I think there was something about the chemical composition that they did not balance out with other fruit for me. Vickie - I hear you and it is something I have noticed in the past. I cannot have one every day. I could when I was still 75 pounds overweight but it does not work in my body chemistry today. What I like about this recipe is I can have a half banana and freeze the rest for another day whereas in the past I had a leftover half banana and no use for it. 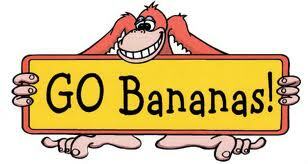 you are the only other person who I have heard have a weight gain problem with bananas. it might be that we are just two people very in touch with our balance points and who KNOW. I had not thought of not one every day. dumb as that sounds - had never occurred to me. I might try one on Tuesday and thursday only (after back to back exercise) and see what happens. whether it was psychological or not, calves charlie horse thing did go away with bananas. AND do you have the option of having the note to our email include our original comment when it sends the follow up comments? I love that feature.